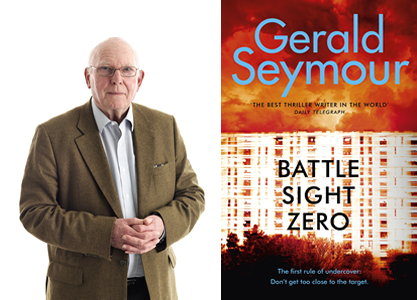 Join one of Britain’s finest thriller writers as Gerald Seymour talks about his latest novel, Battle Sight Zero. Gerald Seymour first exploded onto the literary scene in 1975 with the massive bestseller HARRY’S GAME. Many books later he’s still going strong! We’re delighted to welcome one of the iconic thriller writers to Oswestry.